Organized by FECC (Federación Española de Clubes Campistas), Spanish Federation. 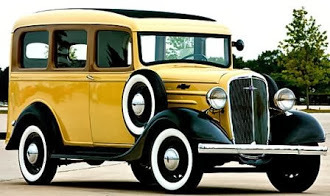 This is the first most peculiar rally celebrated in Spain; the interesting part is that it will cover the Pilgrims Route (The St. James Way) to Santiago de Compostela (Romanesque city, World Heritage). 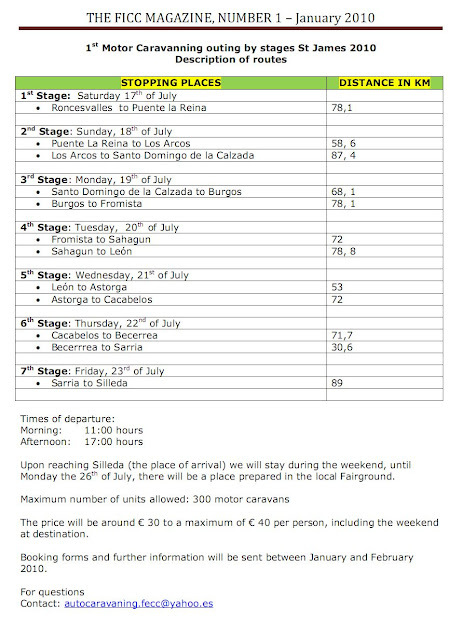 Normally, on these routes pilgrims travel on foot, but is also done by bicycle or covering part of the way by car and then walk to Santiago de Compostella. 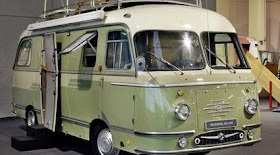 In our case, is all the way, done in stages, by motor caravan (see travel table below). 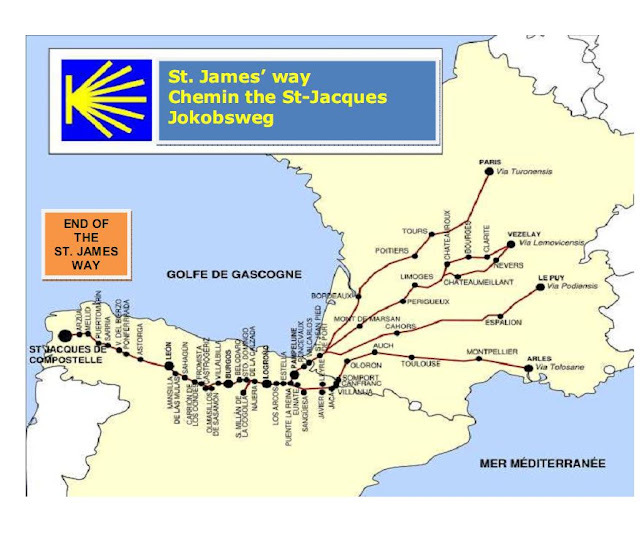 The Way of St. James or St. James' Way (Spanish: El Camino de Santiago, French: Chemin de St-Jacques, German: Jakobsweg) is the pilgrimage to the Cathedral of Santiago de Compostela in Galicia, northwestern Spain, where tradition has it that the remains of the apostle Saint James are buried. Years before, The Pilgrims’ Route was covered only by religious people; however, these days many people from different nationalities like to accomplish the unique experience of the St. James Way where people meet and share company in the long walks with other people in the special prepared routes.